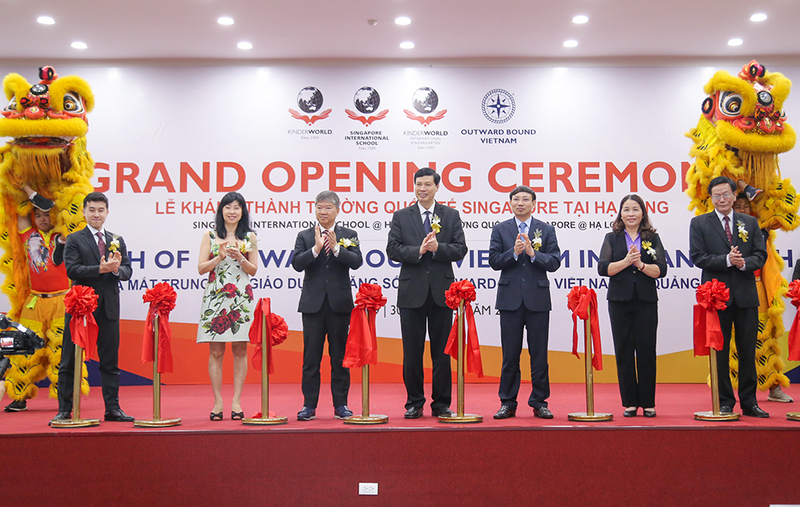 Vietnam, 30 March 2019 – KinderWorld Vietnam and its academic partner, Outward Bound Vietnam (OBV), co-hosted the grand opening ceremony of Singapore International School (SIS) and Outward Bound Vietnam (OBV) base camp at Hung Thang Urban and Service Area in Ha Long City, Quang Ninh Province, which was witnessed by Mr Nguyen Duc Long – Chairman of Quang Ninh Province’s People Committee and accompanying authority leaders. The event celebrated the completion of SIS @ Ha Long’s Phase 2 construction, which saw the addition of a new school block, increasing the school’s maximum capacity to approximately 970 students, as well as other supporting facilities including and not limited to a football field. 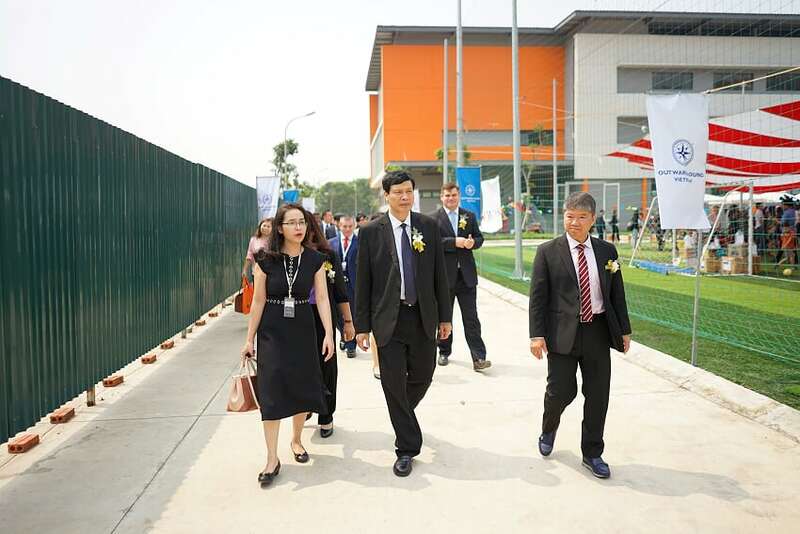 These new amenities demonstrate KinderWorld Vietnam’s commitment to offer high quality educational programmes to foreign and Vietnamese students in Quang Ninh and neighbouring provinces. After the event, parents and students were also invited to take part in many fun and exciting activities at the Summer Carnival at the 7-hectare school campus. 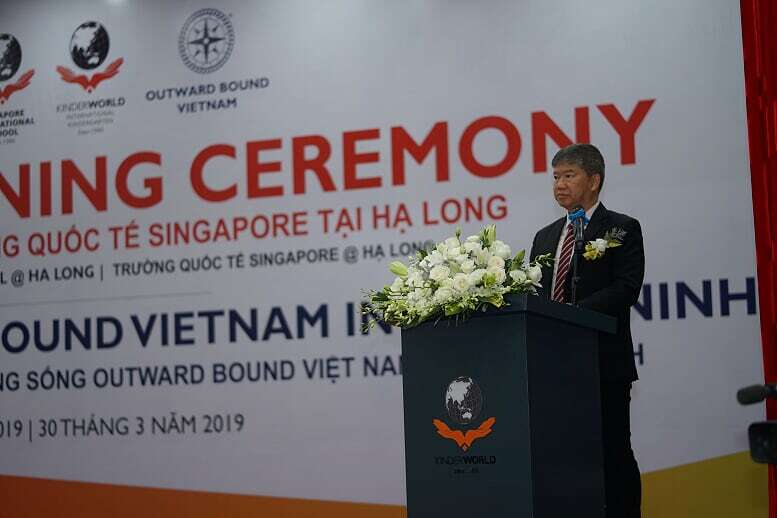 Speaking at the auspicious event, Mr Ricky Tan – Chairman and CEO of KinderWorld International Group shared his confidence in the positive impact of contributions from Singapore International School and Outward Bound Vietnam to the local community and education scene. 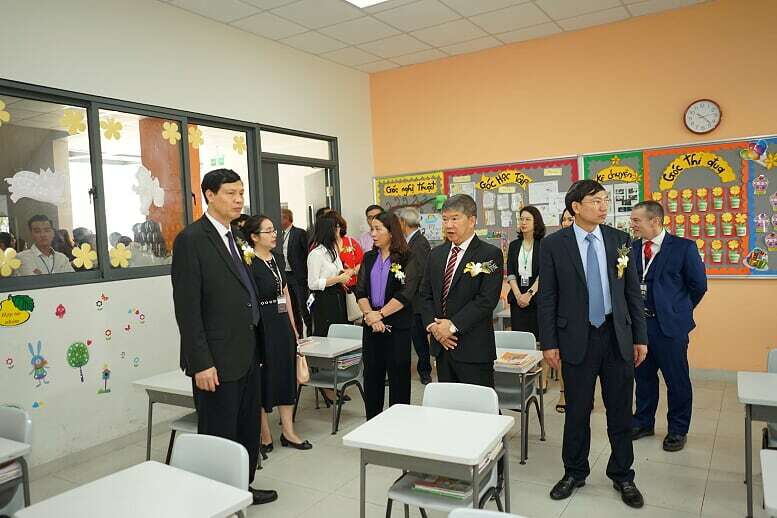 OBV, KinderWorld’s academic partner well-known for experiential learning, also launched its first base camp in Ha Long during the event. The interim base camp is the first-of-its-kind in Quang Ninh, offering OBV outdoor experiential education, adventures, team-building exercises, discovery learning and other educational services to local youths, corporate groups and the community at large. 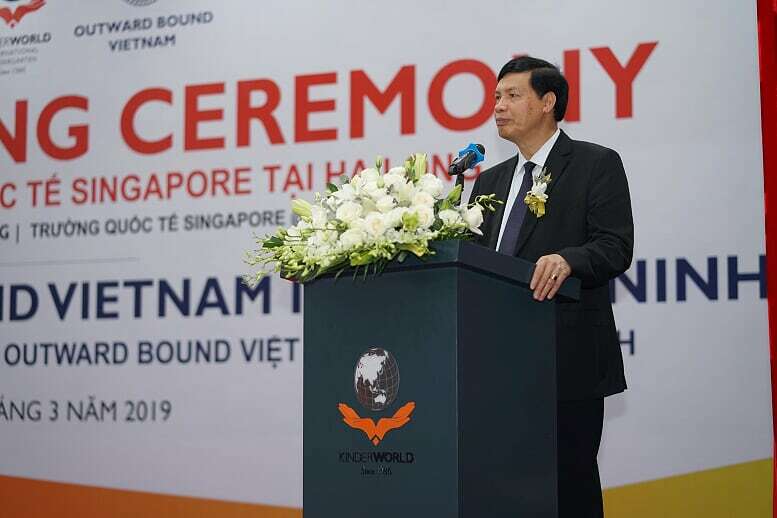 Mr Nguyen Duc Long – Chairman of Quang Ninh Province’s People Committee congratulated KinderWorld on its commitment and achievement in the school development and reaffirmed the local authority’s support for the Group’s long-term education investment in the province. As the 38th country-member of the Outward Bound International network, OBV aims to foster the personal growth and social skills of participants with the use of challenging outdoor expeditions. In 2017, a Memorandum of Understanding was signed between OBV and KinderWorld Vietnam, recognising OBV as the designated experiential education provider for Singapore International School students. Participating in the OBV programme will enable students to build self-confidence, strengthen teamwork, perseverance and effective communication. KinderWorld Vietnam JSC is a subsidiary of KinderWorld International Group – the largest owner-operator of foreign invested international school business in Vietnam. From our first preschool in 2000 in Vietnam, KinderWorld now operates 15 campuses across Vietnam, providing education services for students from 18 months to 18 years old through three types of campuses – KinderWorld International Kindergarten, Singapore International School, and Singapore Vietnam International School. In November 2018, KinderWorld International Group was honoured by the ASEAN Business Awards as the Singapore Winner of the SME Excellence – Growth Award and also emerged as the overall ASEAN Winner of SME Excellence – Growth. The ASEAN Business Awards recognise outstanding ASEAN businesses that have shown significant progress in establishing and reinforcing their positions in various sectors and give recognition to the most successful ASEAN companies contributing to ASEAN’s economic growth and prosperity. Outward Bound was founded in 1941 in Aberdovey, Wales and is an international, non-profit, independent outdoor education organisation with presence in more than 38 countries, serving more than 250,000 participants every year. As a member of Outward Bound International, Outward Bound Vietnam endeavours to inspire social, community, and environmental responsibilities in youths through holistic learning and development while adhering to the highest educational and safety standards of the Outward Bound School network.